ARVIND NETAM was, till the mid-1990s, one of the most promising tribal politicians of India. He was deputy minister of education in 1973. He rejoined the Congress in 1998 after leaving it in 1996. 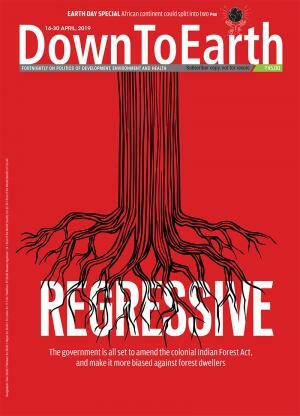 The question of maintaining tribal identity, government failure to understand tribal sentiment, land alienation, displacement and rights related to the forest. Tribals don't need just the money. Even in the 21st century, half the country is illiterate, more so in tribal areas. Why? Because children are not taught in their primary language. Teachers don't teach in the language children understand. That is the flaw in our approach. The government's contribution to tribal agriculture is zero. Why impose high-yielding varieties on them? The priorities have to determined from the grassroots level. I think the Fifth Schedule is a piece of furniture. The state government is all-powerful in it. Perhaps it is time to have the idea of codification of customary law, as the Sixth Schedule permits. Ecology is crucial to the survival of the tribes. There is forest only where there are tribals. If you analyse the income of a typical forest-dwelling tribal family, more than 75 per cent of their income comes from the forest. How do you rate your success in addressing those issues? I think I have been reasonably successful. I played a role in getting the excise policy changed for tribal areas. Tribals can make their own liquor. The issue is not of alcohol but one of economic exploitation. I had a confrontation with Indira Gandhi over this, and she saw my point that contractors controlling the liquor trade were a threat to the tribals' health and economic freedom. I brought some positive influences to the 1988 forest policy with regard to the tribals. I tried to get forest villages transferred to the revenue department. Yes. But there is no accountability among government officials. Even if they get convicted of violations, they go scot-free. Why is the visibility of tribal leaders so low in national politics? For one, most mainstream political parties prefer yes-men as ST leaders. Tribal leaders within political parties depend entirely on non-tribal leaders. There are no tribal heavyweights in the higher echelons of the parties to influence, say, the distribution of tickets to promote a promising young tribal politician. Tribal politics has little money, and the role of money has increased a lot in elections.